+ Each channel can be locked to different "modulation phases" to create "new waveforms"
When available, I will add the latest version of Retronitus here as well as the soon finished "Retronitus Music Editor". What can be achieved with a single cog and 1.4 kB of hub data? Connect audio and download one of the three binaries! I will upload a YouTube clip soon. Can anyone guess what this is ? Sounds fantastic Ahle2, you are indeed an Audio Wizard! is it a mod tracker of some sort? 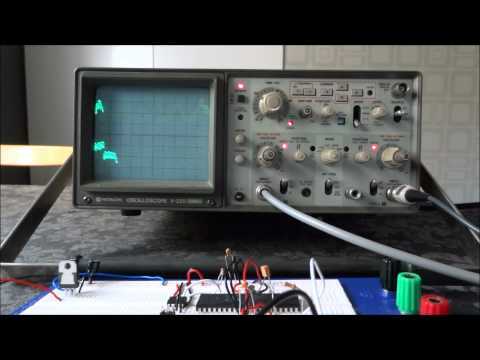 Can you make a binary that uses P23 so I can compare audio with a device I've designed? No just the header of some music module formats takes more than the whole binary and even the smallest sample (like a closed hi-hat) would take more than that as well. So obviously it is realtime generated and uses a very compact music format. Is this the fabled 'Retronitus' by any chance? I did think that Ahle2, I had wondered how you got it so small, if it was the case. Sounds fantastic for realtime generation too, Kudos matey!! "Sounds fantastic for realtime generation too, Kudos matey!!" It actually turned out to sound better than I expected. I have been coding on this for quite some time, but it was not until a couple of days ago I started to compose music with it; And I am very pleased with the result. At the moment composing music involves typing data in dat blocks and it is a VERY hard and time consuming process. As soon as my music editor for the PC is ready I will release Retronitus. Does anyone know the tune and from wich game it originally comes from? Propeller power never ceases to amaze me. That's quite remarkable (demoboard stereo)! We were trying to discern the loop, very smooth end to end. Is it 4 measures of 4? 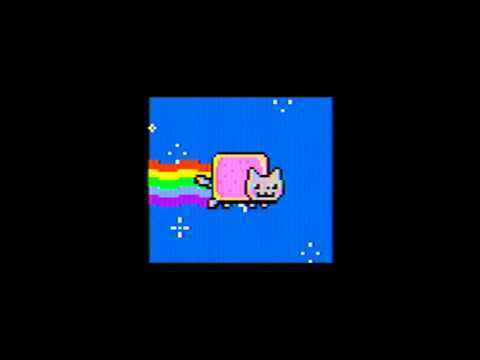 Catchy tune, but I'm clueless about retro/games. My son is the musician in the family, also a propeller enthusiast, so we're very interested to follow the development of retronitis as a composition tool. @Ahle2, you are master of Propeller audio... fantastic! So how do the rest of us create music like this? That IS amazing! I would think it would take several times the memory that it does. The loop is in the driving data, while the synthesis runs non-stop with lots of overlapping voices, burying the end-to-beginning transition. I think the data must be in something akin to a manually-constructed lempel-ziv format. Super compact. Good job, Ahle! That leaves 29.3KB (89.5%) of RAM for the video portion of your next demo. I know this is off-topic, but I just noticed, and can't believe that Chip is valued at 4 stars lol I'm guessing he's passed 5* and is on his way to 10! You are correct, there are four parts with four measures in each. When my Retronitus sequencer is finished it should be fairly easy to compose music with the Propeller. I know that the C3 is muffled and so is the demo board. I mean a cut off frequency of ~1.6 kHz makes no sense for high quality drivers that can handle overtones way up in the 20 kHz range. You have to wait until I have finished my Retronitus sequencer. Then it takes some music knowledge of course. Thanks for the kind words Chip! That means a lot coming from THE man himself. You are, of course, correct about how the synthesis "buries" the transition when looping. Note and wait data is stored in a single byte. Each bytes contains a 5 bit "delta note value" and a 3 bit "step wait value". The way music works this is enough for like 97% of all "tone sequences"; The remaining 3% is handled with exception handling. Here is the correct answer to from which game the music comes from. The music from stage 1 is the best track in the game and the game itself has the overall best music of ANY NES game in my opinion. the video is Not available in Germany Can you post something from your demo please ? 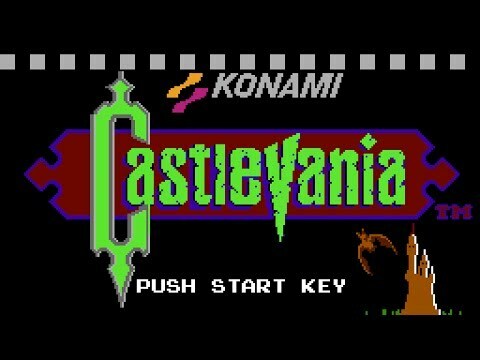 It took only 2 loops of the song for me to recognize that it is what most people call the Castlevania Theme. I will (hopefully) upload a video tomorrow when my new camera arrives. Too bad I didn't wait some more for the right answer then. 1. I need a couple of beta testers for my upcoming sequencer and for Retronitus. So are there anyone interested in this? Preferable is to test it in a game or an application that needs to run both music and sound FX at the same time. 2. Are there any graphics artists willing to make a logo for Retronitus? The logo needs to radiate retro and have some connection to music. I'm surprised no one has taken you up on this. Sorry, still catching up.. Celebrating Anniversary and birthdays this week. I'm willing to be a beta tester.. What kind of time-frame do I have to work with? Ahle2, be sure it's not lack of interest, but lack of time (and some skills) to dedicate to that particular commitment (a game, simultaneous use of music+fx). As I'm already working (slowly) on a 4 SIDcog polysynth, I'm unsure if asking to participate would end in just fiddling with it, without doing real and useful testing and appropriate bug reports. Like the Antoine Doinel character says in one of the movies (Bed and Board): "I wish each day had 30 hours. I'm never bored. I can't wait until I'm old so I'll only need five hours sleep!" Didn't see your post until just now. I would also be willing to give it a try. I just started on a new project on Savage Circuits that this would be a great addtion. I am not a graphics artist, but I have made a concept logo for Retronitus. <- Click it for an enlarged picture! I agree with Baggers, The logo looks great! A 4 SIDcog polysynth sounds very interesting; when will we see it? You are officially beta testers now. There is no time frame at all. No pressure! I had a little look at your new shooter, it looks VERY promising. It would be cool to use Retronitus as the sound engine!